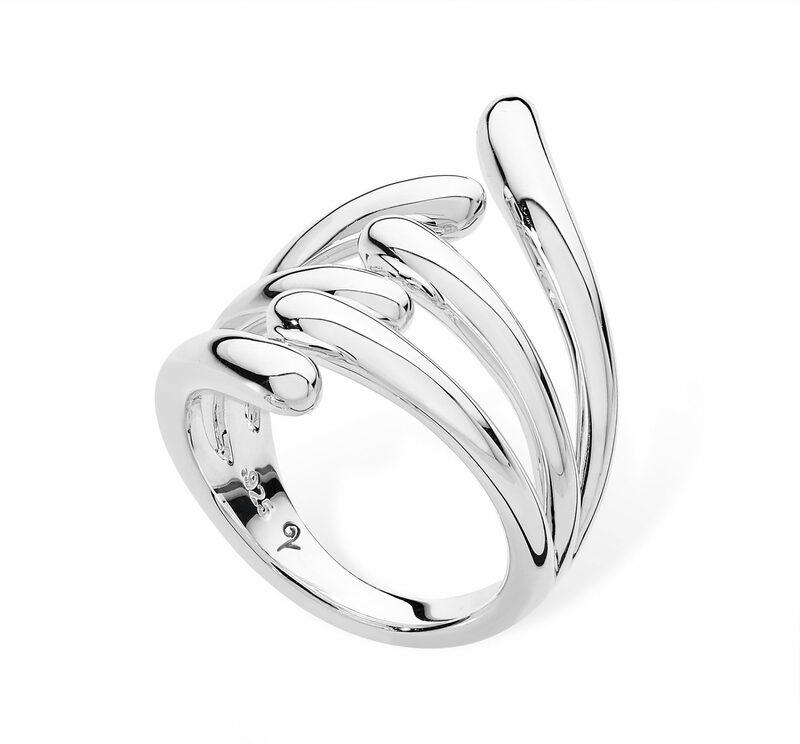 This solid Drop ring features six beautiful droplets that wrap around the finger. There is also a bit of give as the top section of the ring is open. The ring can be worn as one of as a set.